Still relying on old marketing techniques in a fast-changing digital environment? Are your current marketing methods not generating the return on investment you expect? Digital marketing is key to staying ahead of the competition and thrive in business. As a digital marketing agency, Redmond Digital Marketing covers the critical aspects of marketing in a digital age. Our services include search engine optimization, Google pay per click (PPC) and Facebook advertising. Each one on its own is a powerful means to connect with your target market and grow your business. Combined, these forms of online digital marketing can deliver outstanding results. As an online digital marketing agency, we take the time to understand your business, your market, and your goals. We then develop a strategy to leverage digital marketing tools to meet your objectives, whether with search engine optimization, Google PPC, Facebook advertising, or a combination of these. Digital marketing is a measurable and cost-effective way to connect with your market and grow your business. Contact Redmond Digital Marketing to discover the power digital marketing. Search engine optimization (SEO) is part art and part science. In a fast-changing digital environment, the rules of SEO are constantly changing. As an SEO marketing agency, we stay on top of the latest developments to ensure that your website continues to get more keywords on the first page of Google search results, attract more visitors and boost your sales. Given the importance of search engine optimization, you want to choose the right SEO company for your business. Redmond Digital Marketing is a search engine optimization company with a proven track record of helping companies get on page one and generate results. 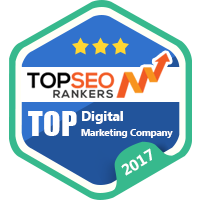 Looking for an SEO company that will boost your search rankings and helps you grow your business? Redmond Digital Marketing is a search engine optimisation agency that will make it happen. Pay-per-click advertising is a fast and effective way to generate more leads and sales for your business. Since Google is the most popular search engine, Google Ads (formerly AdWords) is most effective for pay-per-click advertising. How a Google PPC campaign is set up and managed determines its success. As an online marketing agency, Redmond Digital Marketing creates and manages Google PPC campaigns that connect with your target customers and generate sales. We implement all aspects of Google PPC campaigns, including researching the market, creating compelling ad content, setting bid rates and monitoring results. If you are ready to discover how Google pay-per-click advertising can help you attract more customers and grow your business, contact Redmond Digital Marketing. Facebook advertising enables you to target ads to people with certain characteristics that match your ideal customer. This ability to pinpoint your advertising makes Facebook a powerful marketing platform. As a digital marketing company, Redmond Digital Marketing creates and manages Facebook advertising campaigns that generate results. We cover the entire process of creating and monitoring Facebook ads. This begins with taking the time to understand the characteristics of your target customers, including age, gender, interests, location and more. We then create Facebook advertising campaigns to connect with your market. After your ads are running, we constantly monitor and fine-tune your Facebook advertising campaign to maximize your return on investment and your results. If you’re ready to attract your ideal customers through Facebook advertising, contact Redmond Digital Marketing. Quick SEO appraisal in just 60 seconds.